Carefully crafted strategic plans are useless unless they are expertly executed. A powerful strategy will make you a powerful competitor. This comprehensive workshop provides you with expert guidance for developing and implementing your organization’s strategic initiatives. 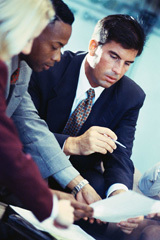 Executives, managers, team leaders, and anyone else engaged in their organization’s strategic planning process.